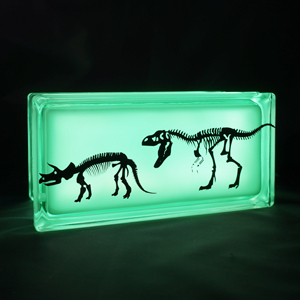 Bees are a sign of sweetness and delight. 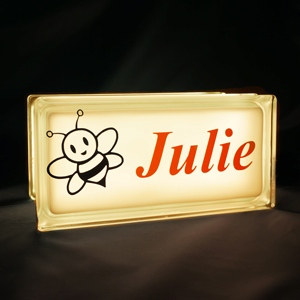 If you have a little sweetie in your life, surprise him or her with this bee night light. 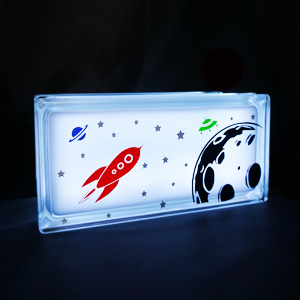 The GloBlock will shine a soft light in her room at night in a variety of colours including red, green, soft yellow and pink and has many other special effects which will delight and enchant children and adults alike. 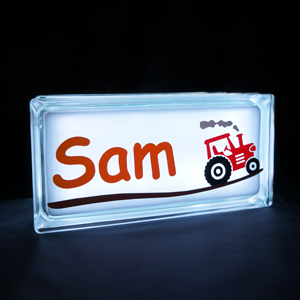 Custom made with your child’s name, the LED light is operated with a remote control.